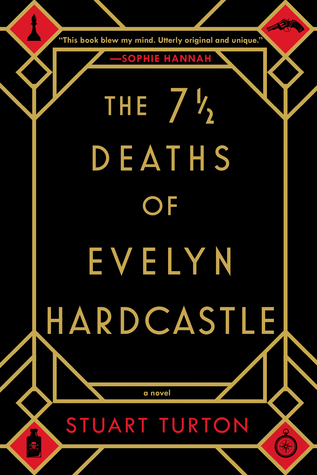 The 7 1/2 Deaths of Evelyn Hardcastle by Stuart Turton is a highly recommended, clever, body-swapping, time-traveling mystery that seems to channel Groundhog Day and Inception. A man wakes up covered in cuts in the forest and his first thought is of Anna. The problem is he doesn't know who Anna is - or who he is. He manages to find his way back to Blackheath, the nearby estate, and discovers he is Dr. Sebastian Bell, right now. Really he is Aiden Bishop existing in the body of Dr. Bell for this day. Tomorrow he will inhabit another body. Aiden learns that he has seven hosts whose bodies he will inhabit over the next 8 days. He needs to solve the mystery of the death of Evelyn Hardcastle in those eight days or he will have his memory erased and go back to day one. And he will repeat this endless cycle again, and again, and again until he solves the mystery. The first person narrative of the novel jumps back and forth and ahead in time as the days progress and Aiden switches bodies. As he switches bodies he views the same events through different eyes and from a different perspective. He must take the clues he sees while working through what feels like an endless cycle of eight days to solve the mystery. Aiden is not alone in this quest. There are other people also inhabiting different bodies who must try to solve the murder. There is also a mysterious footman pursuing all of them. 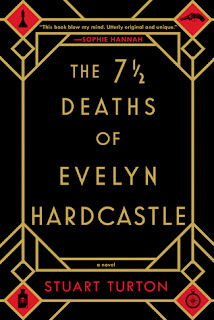 The 7 1/2 Deaths of Evelyn Hardcastle is a well-written mystery with science fiction elements. Viewing the same events through Aiden's eyes as a different character in the drama was an interesting twist and the striving to pass along clues to your future self was an interesting concept. Putting a person into a different body and capturing the essence of the body-character while it's inhabited by the narrative-character is also a mind-boggling feat. This is a satisfying, unique, complex mystery that should appeal to a large number of readers, especially those who enjoy British murder mysteries and science fiction. I had small issues with the very slow start and the ending, along with a few other minor quibbles that were more a personal preference than anything worth noting. 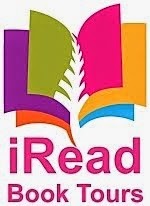 This would be a great choice for a cold, snowy day when you have uninterrupted time to immerse yourself in the mystery.